Whether you are lactose intolerant, vegan, or want to avoid lactose for another reason, these lactose free cheese substitutes might be right for you. Keep in mind that many people who are lactose intolerant can still enjoy many types of dairy cheese that contain little or not lactose. Soy Cheese: Soy cheese is sold in vegan and non-vegan varieties. Vegan varieties do not include casein, a dried milk protein, in the ingredients. The main ingredients in most soy cheeses are soy proteins and soybean oil. Soy cheese is sold in numerous flavors, such as mozzarella, nacho, cheddar and parmesan. It can be bought grated or in pre-packaged chunks and slices. Rice Cheese: Rice cheese is sold in vegan and non-vegan varieties. Vegan varieties do not include casein, a dried milk protein, in the ingredients. Typically, the main ingredients are rice flour and rice bran oil. Rice cheese is sold in flavors such as cheddar, pepper jack and American. It can be bought grated or in pre-packaged chunks and slices. 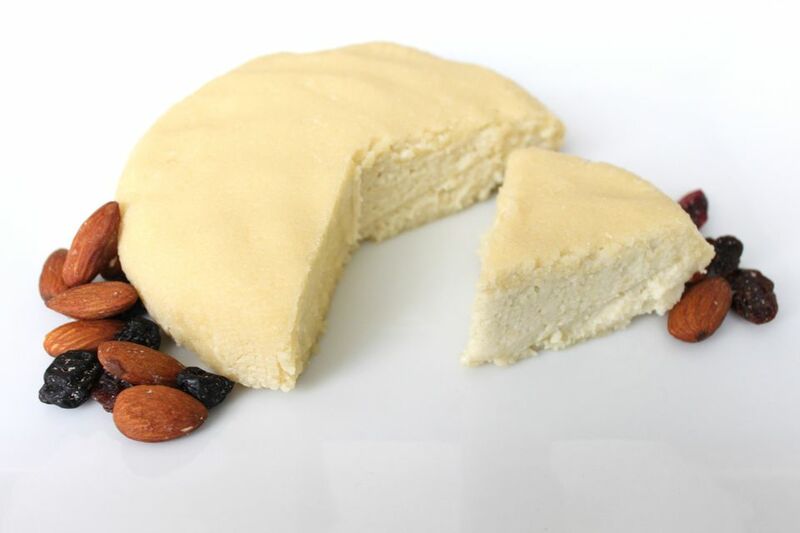 Almond Cheese: This product is made by replacing animal milk with almond milk. Sometimes, however, store-bought almond cheese contains the dried milk protein casein, which means it is not appropriate for vegans. The main ingredients in almond cheese are crushed almonds and water, canola oil and brown rice flour. Almond cheese often has a texture that is more similar to regular cheese than soy cheese or rice cheese. It is available in flavors such as jalapeno, cheddar and mozzarella. Although it does not have the same creamy texture and mild flavor of store-bought almond cheese, you can try making your own homemade almond cheese. Cashew Cheese: A new favorite, especially among vegans, cashew cheese is very versatile. Many versions of cashew cheese for sale in stores have a spreadable consistency and come in a variety of flavors. Nutritional yeast is often added to cashew cheese to give it a "cheesy' flavor. Cashew cheese is easy to make at home. Try this recipe for vegan nacho cheese, or this one for herbed cashew cheese. Yogurt Cheese: This cheese contains dairy but is made with the live yogurt cultures acidophilus and bifidus, which remove the milk sugars during the cheese making and aging process. This makes it a possible option for people who are lactose intolerant. The texture and flavor of yogurt cheese is the most similar to regular cheese and it also melts fairly well. The Cultured Way is a brand to try. Or, try making yogurt cheese at home with this homemade yogurt cheese recipe.